Do you feel overwhelmed by credit card debt? Looking at a high interest rate and seeing how long it takes to tackle the principal can be disheartening. When faced with this difficulty, some consumers consider taking out a personal loan to pay off the debt. While it can be a good move to use a personal loan to consolidate credit card debt, there are also downsides. Let’s take a look at how it works — and when it makes the most sense. In most cases, a personal loan is an unsecured loan offered through a bank, credit union, or other lending institution. Your interest rate and other terms depend on your credit score and income. In some cases, you also might be required to provide the names, addresses, and phone numbers of three to six relatives or friends who can be contacted if you don’t make your payments. If you’re approved for the loan, you’ll use the funds to pay off your credit card debt. Depending on the type of loan you get, you might be responsible for consolidating the credit cards on your own, or the lender will ask for your creditor information and pay off the balances. Either way, you owe the money. However, you now owe it to one lender instead of several — and you might have a lower interest rate and monthly payment. A personal loan can help you save money on interest, according to Tim Maxwell, a consumer advocate and founder of Incomist. “It’s always a good idea to replace high-interest credit cards with low-interest loans,” he said. Take the following example from a credit card statement. If you pay only the minimum payment of $237, the 19.99% APR eats up a big portion of your payment. It might take two decades to repay the balance. 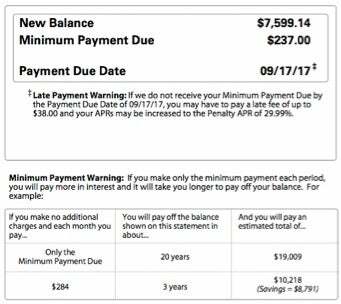 Even if you boost your monthly payment to pay off your debt in three years, you’ll end up paying $2,619 in interest. But what happens if you can pay off this debt using a three-year personal loan at a 9.00% APR? You can save more than $1,000 in interest over the course of three years — and your monthly payment isn’t much different. Bigger savings are possible if you have the credit to qualify for lower rates. 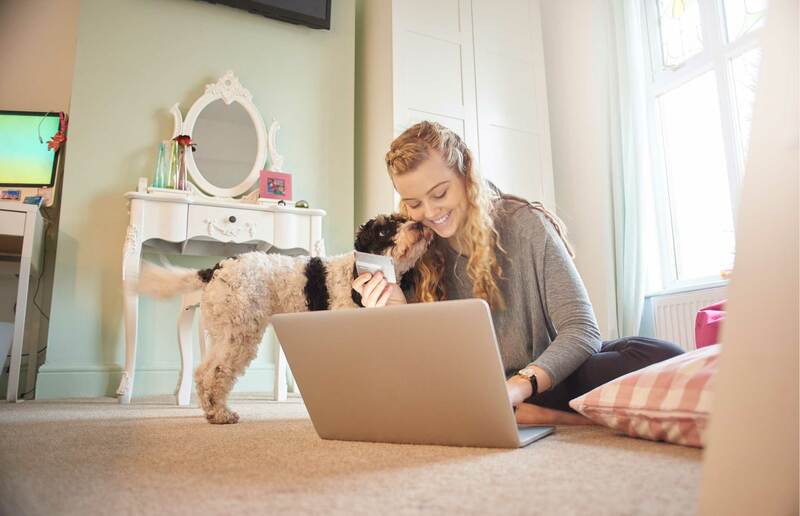 Maxwell said it’s ideal to apply when you can get rates of 7.00% APR or less, but any improvement in interest rate can save you money and help you tackle your debt more efficiently. Mike Sullivan, a personal finance consultant with Take Charge America, a national nonprofit credit counseling and debt management agency, pointed out that a personal loan also can help your monthly budget. With a personal loan, you know exactly what you’ll pay each month. Plus, consolidating credit cards into one loan means fewer payments and interest rates to worry about. This strategy can streamline your budget and help you stay on top of your bills. Getting a personal loan isn’t always the best move, however. First of all, warned Maxwell, you need good credit to make this strategy work. “If your credit score is low, the interest rate on your consolidation loan may make the payments unaffordable, and the interest savings may not be worth consolidating,” he said. That’s especially true if you end up with a rate that’s close to (or even higher than) your current credit card interest rate. In this new calculation (above), using our previous example, look at what happens if your personal loan has a 17.99% APR. Now, your interest savings over three years will amount to $276. Depending on your lender, that small savings could be eaten up in loan origination fees and other costs. On top of that, your credit consolidation could lead to even more debt if you aren’t careful. “A loan would free up your credit card balance, which could entice you to spend even more,” said Sullivan. If that happens, you’ll have all your debt from before in the personal loan plus the new credit card debt you rack up. Sullivan said the personal loan strategy isn’t something for the easily tempted. Should you use a personal loan to pay off your credit cards? Run the numbers to see if you can pay off your debt less expensively with a personal loan. For people with good credit and sufficient income to get approved, using a personal loan can be a smart strategy. However, it’s not a good idea for everyone. If you have poor credit or might run up fresh bills on your newly liberated credit card, using a personal loan can make matters worse. Be honest with yourself about your spending habits so you make the right decision for you. Miranda has been a financial journalist for more than 11 years and currently writes for Student Loan Hero. She has contributed to Forbes, NPR, U.S. News & World Report, Yahoo! Finance, Entrepreneur, Investopedia, AllBusiness.com, and Huffington Post. She has been featured in The Wall Street Journal, Business Insider, Inc., Fast Company, and other local and national publications. Miranda has also appeared on TV, radio, and podcasts to talk about money and investing issues. She regularly speaks at conferences and workshops and is an ambassador for Women's Money Week.